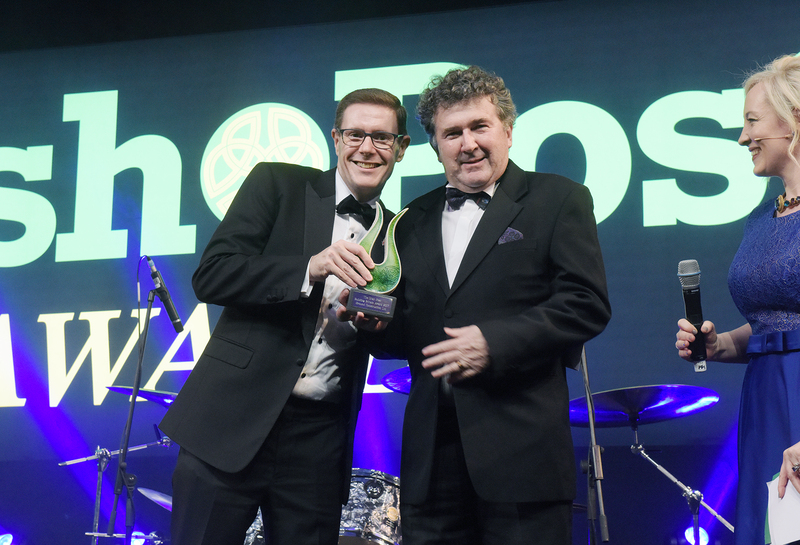 A night of community, Brexit, and high praise of the Irish in Britain as Bob Geldof and Johnny McDaid were among those honored at 40th annual Irish Post Awards on November 23 at the Grosvenor House Hotel on Park Lane in London. Snow Patrol’s Johnny McDaid praised the collective energy, spirit, and positive impact of the Irish in Britain. “We come from a history of nations that fought each other. It’s amazing to see this gathering of people fighting for each other,” he said. Apprentice star Baroness Karren Brady, singer Imelda May, and Olympic rowers Gary and Paul O’Donovan were also honored on the night. 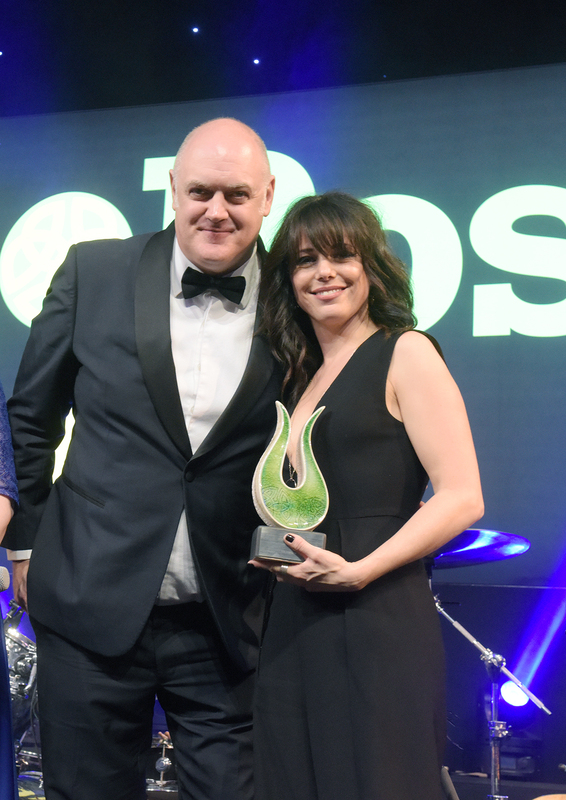 This year’s Building Britain Award was won by Ground Construction Ltd, while a special award was presented to Kerryman Danny O’Sullivan for over 30 years’ service to the Irish community. And it was that sense of community that Derry native Johnny McDaid spoke of with huge admiration and passion. 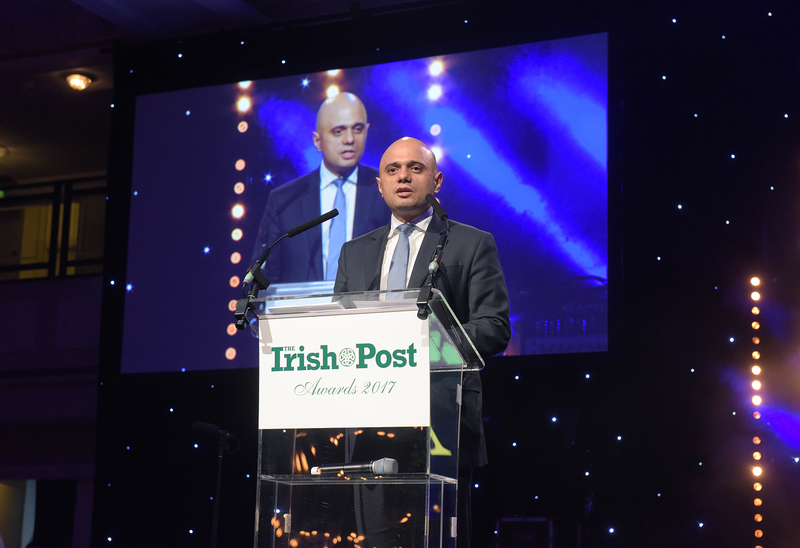 “Everything that you have seen here tonight is about community, we are all of us a community, we are people from Ireland who left and came here to England to make more of our life,” he said.